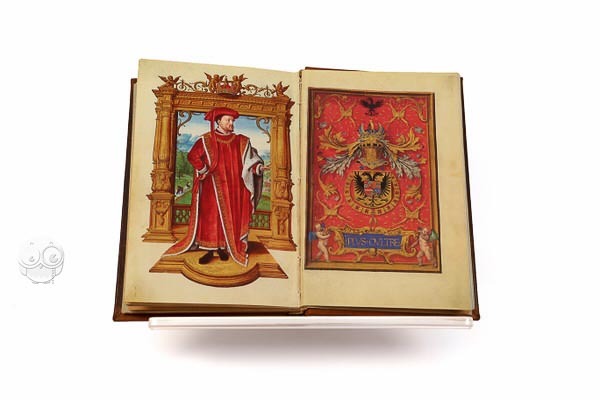 The year 1996 was the five hundred anniversary of the connection between the Spanish Crown and the most illustrious and most famous Order of Kinghthood in Western Europe: the Insigne Order del Toisón de Oro, or Order of the Golden Fleece. 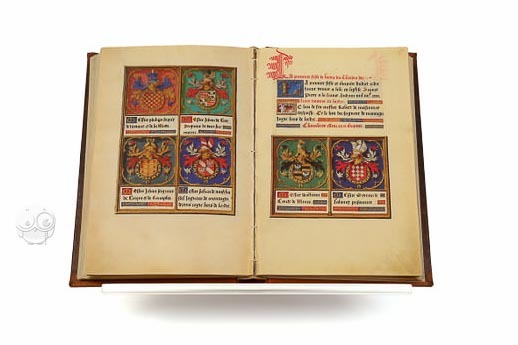 This order of Kinghthood was founded in 1430 by Philip the Good, Duke of Burgundy, whose skilful international politics were renowned and whose court was undoubtedly the most dazzling in the twilight of the Middle Ages. It soon attained very great prestige, and was famed for its lavish ceremonies. After being tied fhrough marriage to the House of Austria, the wedding of archduque Philip with Infanta Joan of Castile in 1496 would link the Order to the Spanish Crown forever. This circumstance, and the fact that Spanish became the mightiest European power over the 16th and 17th centuries, led the Order of Golden Fleece to become the most valued and distinguished order of kinghthood in the whole of Cristendom. This prestige has doubtlessly been kept unscathed until our own times, in which its Head and Sovereign is His Majesty King Juan Carlos I, as direct heir of the Dukes of Burgundy. Manuscript book on parchment − 31.5 × 20.5 cm − 230 pp. 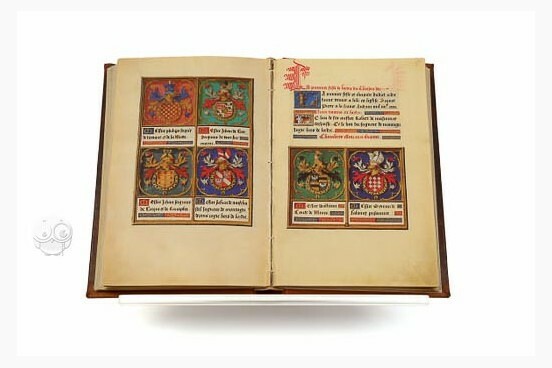 Full-size color reproduction of the entire original document, The Insigned Order of the Golden Fleece: the facsimile attempts to replicate the look-and-feel and physical features of the original document; pages are trimmed according to the original format; the binding might not be consistent with the current document binding. Leather on board, an accurate reproduction of the 16th century original.